Three Yukoners will receive honours from Gov. Gen. David Johnston on Friday during two ceremonies at the Chan Centre for the Performing Arts in Vancouver. Morgan Wienberg will receive a Meritorious Service Cross, while Gary Bailie and Lois Johnston will receive Caring Canadian Awards. 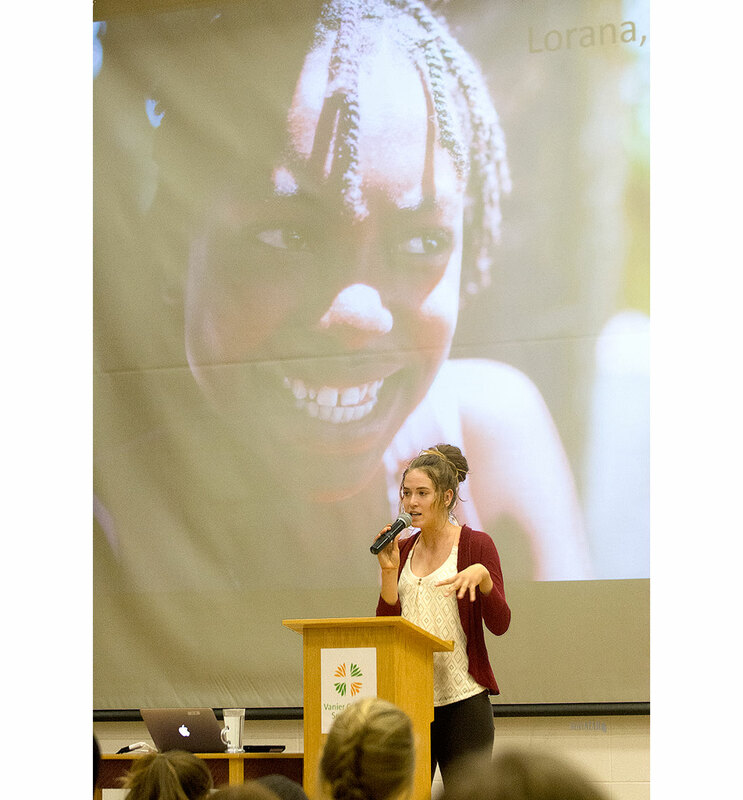 Wienberg, who has spent most of her time in Haiti in recent years, co-founded Little Footprints, Big Steps, a safe transitional house for victims of poverty and neglect. Since the age of 19, she has devoted herself to providing street kids with shelter, food, education and health care. Wienberg mobilized support at home and in Haiti, helping families become self-sufficient and reunite with their abandoned children. Bailie, of Whitehorse, has been the driving force behind the Kwanlin Koyotes Ski Club for more than 15 years. He encourages teamwork and promotes the therapeutic power of outdoor play among the children of the Kwanlin Dün First Nation. He has also instilled a greater sense of community among its residents. More than 25 years ago, Johnston, also a Whitehorse resident, started volunteering by teaching children to ski, and hasn’t stopped since. In addition to spending her winter afternoons skiing with kids, Johnston – no relation to the Governor General – also played different roles as a board member of Cross Country Yukon for more than eight years. She is also a volunteer coach with the Yukon Ski Team, where she leads the highest-level training squad more than three times a week, year-round. More than 150 remarkable Canadians will be recognized for their excellence, courage or exceptional dedication to service on Friday with one of the following honours: the Governor General’s Caring Canadian Award, an Exemplary Service Medal, a Decoration for Bravery or a Meritorious Service Decoration. Often working behind the scenes, these individuals volunteer their time and efforts to help their fellow citizens. The award also brings to light the example set by volunteers, whose compassion and engagement are a part of our Canadian character. The Meritorious Service Decorations celebrate Canadians who have performed an exceptional deed or activity that brings honour to Canada. The decorations are separated into military and civil divisions, with two levels each: a cross and a medal. Morgan is a very deserving person for this award. The work she is doing in Haiti is outstanding. I haven't met her yet but I can feel her strong passion for making a difference and that she is very brave. We travel to a different part of Haiti and know the obstacles that one can come across and what Morgan has done is exceptional! We need more people like Morgan. Please keep doing what you're doing and I really hope to meet you soon. Canada should keep their awards in Canada. People like Morgan should get their award from the country they are working in. Do you believe that in all of Haiti there is not some one who is capable of doing what Morgan is doing? Apparently not, see comment above. Try helping people in Canada. I myself have been a volunteer in CANADA in the YUKON for 28 years.